RF Venue designs and manufactures innovative products that make wireless audio systems work and sound better. Their advanced products are designed to reduce signal dropouts and interference for all brands of wireless audio equipment, while its WaveTower software platform allows users to monitor and manage their RF spectrum across the web. RF Venue initially built an integration with LyntonWeb, using a combination of Xero and HubSpot. 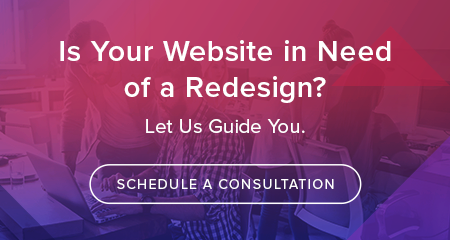 LyntonWeb was called in again to first restyle and move the blog to HubSpot, then work on the main website redesign. Truly showcasing what RF Venue was all about meant showcasing its products, particularly the new release of its WaveTower platform. Company CEO Chris Regan were quick to provide creative input as well as exceptional product photos and software screenshots so the company’s tools could be featured on the new site’s optimized layouts. The company was also open to implementing the new HubDB, a relational database within the HubSpot platform that lets users produce database-driven content. Instead of manually creating and updating individual web pages, HubDB populates pages with the most up-to-date information from the database. The redesigned site uses HubDB to produce a number of product pages, individual pages, the resources section, and pricing tables on individual software pages featuring WaveTower. In addition to properly showcasing the company products, platform and overall achievements, the revamped site is the perfect backdrop for the company’s marketing efforts. 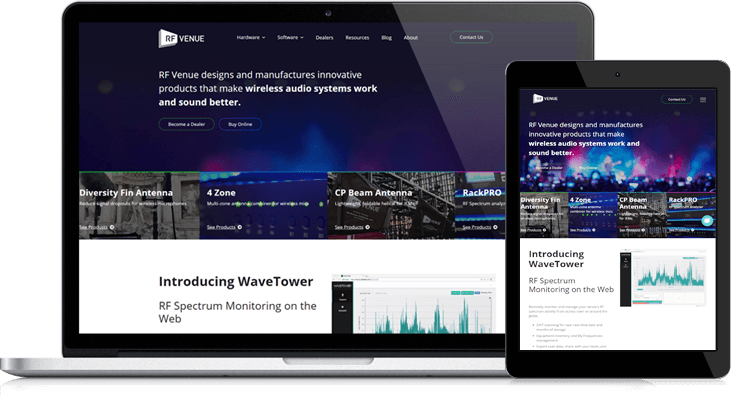 RF Venue plans to continue to appeal to both professional and hobbyist audio engineers with its how-to guides, informative blog posts, and other content demonstrating industry knowledge.